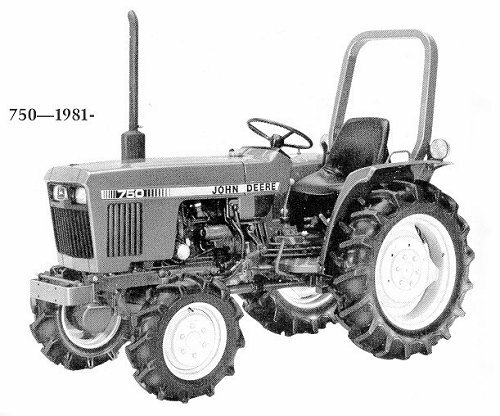 The John Deere 750 was a Mini Utility tractor that came out in 1981. It had a liquid cooled, THREE cylinder diesel engine. It was tested in Nebraska in 1983 and it rated 18.54 PTO hp.